I grew up in America, but now I live in Wales with my husband, fellow writer Patrick Samphire, our sons, "Mr Darcy" and "Baby X", and our crazy-sweet border collie mix, Maya. My MG Regency fantasy trilogy was published in the US as the KAT, INCORRIGIBLE trilogy and in the UK as THE UNLADYLIKE ADVENTURES OF KAT STEPHENSON. The trilogy also has a stand-alone epilogue - the YA novella COURTING MAGIC (set five years after the events of Book 3). 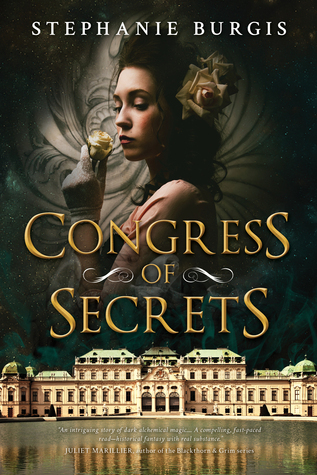 I also have two adult historical fantasy novels, MASKS AND SHADOWS and CONGRESS OF SECRETS, both published by Pyr Books in 2016, and a new MG fantasy series coming from Bloomsbury UK and US, beginning in Spring 2017 with THE DRAGON WITH A CHOCOLATE HEART. I only rate and review the books that I like, which is why all of my ratings are 4 or 5 stars. This was definitely not fantasy but I still devoured it!! Holy cow. I just found out there was a book before this one so I will be getting that one too! The action and romance made me happy and mostly the ending did. Both Karolina and Michael deserved it. I loved this book! !